Speaker: Raquel Urtasun. Assistant Professor at the Toyota Technological Institute at Chicago. Developing autonomous systems that are able to assist humans in everyday’s tasks is one of the grand challenges in modern computer science. Notable examples are personal robotics for the elderly and people with disabilities, as well as autonomous driving systems which can help decrease fatalities caused by traffic accidents. In order to perform tasks such as navigation, recognition and manipulation of objects, these systems should be able to efficiently extract 3D knowledge of their environment. While a variety of novel sensors have been developed in the past few years, in this work we focus on the extraction of this knowledge from visual information alone. Unfortunately, existing approaches to 3D scene understanding either produce a mild level of understanding, e.g., segmentation, object detection, or are not accurate enough for these applications, e.g., 3D pop-ups. In this talk I will show generative models of 3D urban scenes that take into account dependencies between static and dynamic features, and are able to infer the geometric (e.g., street orientation) and topological (e.g., number of intersecting streets) properties of the scene layout, as well as the semantic activities occurring in the scene, e.g., traffic situations at an intersection, from monocular and stereo imagery. Furthermore, I will show that this global level of understanding provides the context necessary to disambiguate current state-of-the-art detectors. This is joint work with Andreas Geiger, Martin Lauer and Christian Wojek. Raquel Urtasun is an Assistant Professor at TTI-Chicago a philanthropically endowed academic institute located in the campus of the University of Chicago. She was a visiting professor at ETH Zurich during the spring semester of 2010. Previously, she was a postdoctoral research scientist at UC Berkeley and ICSI. Before that, she was a postdoctoral associate at the Computer Science and Artificial Intelligence Laboratory (CSAIL) at MIT, where she worked with Prof. Trevor Darrell. Raquel Urtasun completed her PhD at the Computer Vision Laboratory, at EPFL, Switzerland in 2006 working with Pascal Fua and David Fleet at the University of Toronto. She has been area chair of NIPS multiple times, and served in the committee of numerous international computer vision and machine learning conferences (e.g., CVPR, ICCV, ECCV, ICML, NIPS). Her major interests are statistical learning and computer vision, with a particular interest in non-parametric Bayesian statistics, latent variable models, structured prediction and their application to 3D scene understanding and human pose estimation. 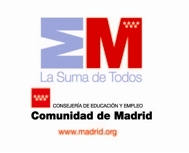 This workshop presents the tenth Workshop of the RoboCity2030 project, supported by the PADIR program of the Community of Madrid. 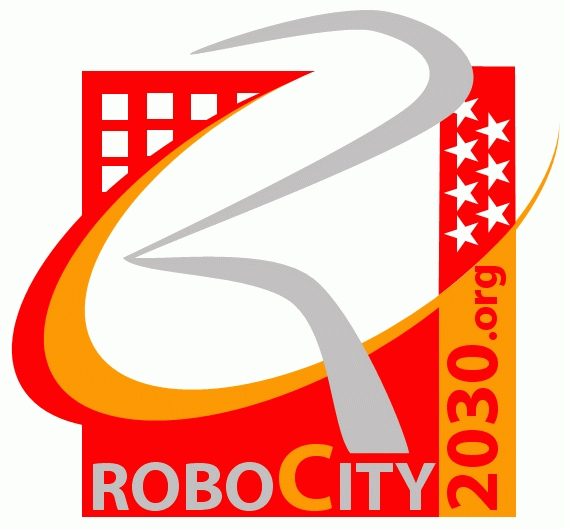 The RoboCity2030 consortium is formed by the research groups of the University Carlos III of Madrid, the Centre for Automation and Robotics of CSIC, the Polytechnic University of Madrid, the University of Alcalá, the University Rey Juan Carlos and the UNED. The workshop will be held on the first day of the IEEE Intelligent Vehicles Conference, June 3rd, 2012.